In the early hours of the New Year 1983, Milford House Hotel was severely damaged by fire. The roof, the 18th century interiors, the Wren style arched timber panelling, entrance hall, vaulted basement, ornate staircase all destroyed, leaving only a brick and stone shell. John Cooper Associates, after ten years of working with Waverley Borough Council and various lobby groups, completed the restoration of this fine 18th century building. This was only possible because of the imaginative and committed approach to this project by the owner. 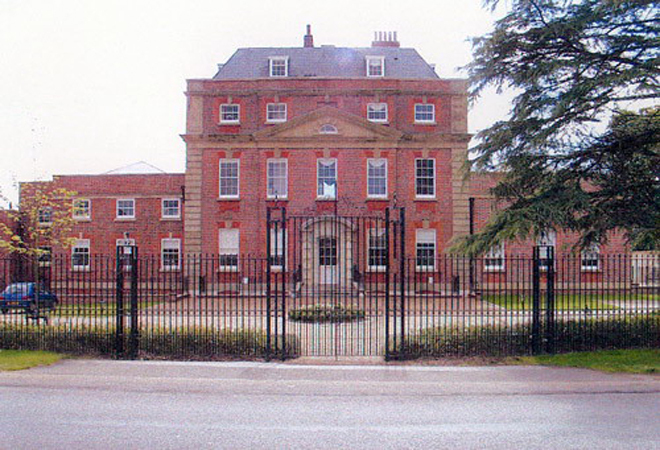 Milford House was built for Thomas Smith and his family, who were a very prosperous family from trade and who owned a number of properties throughout Surrey and Sussex. In 1763 Smith’s only surviving daughter Mary, married Philip Carteret Webb, son of one of the main families of the Waverley area and the house stayed in the ownership of the Webb family until 1926. As part of their initial report in 1988, John Cooper Associates produced an illustrated history of the building, based upon archival research. From this research a collection of watercolours of the house and gardens was discovered painted between 1880 and 1920. By studying these watercolours, together with the painstakingly sifted debris from the basement, we were able to piece together a picture, both external and internal, of the original house. This record was presented to Surrey County Council for their historic archives. The history of the house is fascinating, not the least fact being that in the summer of 1885, the lady of Milford House, Mrs Barbara Webb, met sixteen year old Edwin Lutyens, already aspiring to become an architect and became his first sponsor and her cause. 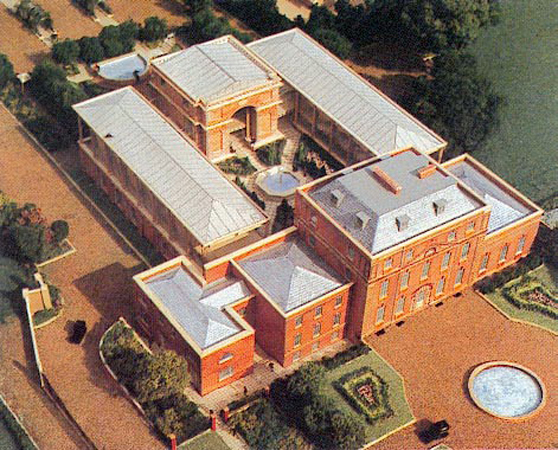 Lutyens visited her very regularly, until her death in 1897 and Milford House, its architecture and interiors had a significant impact on the emerging architect. 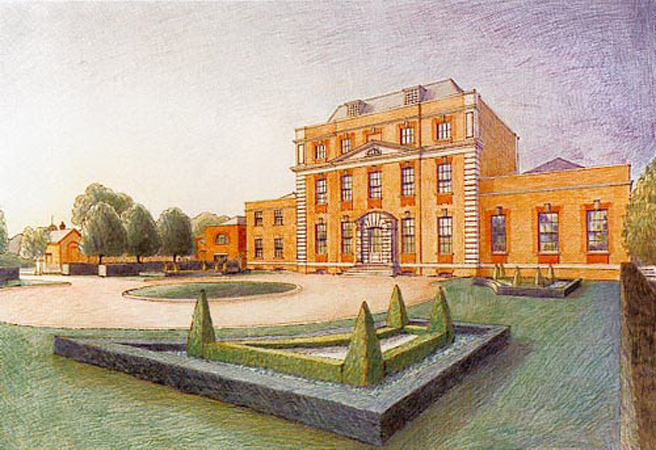 This story is featured in some detail, as are the watercolours, in the book "Lutyens and the Edwardians" by the architectural historian Jane Brown. Only the external walls and internal cross walls survived the fire and even then the ornate stone cornices, especially at the rear where the fire started, were badly damaged due to the heat expanding fossils in the stone, causing the stone to blow. After preparing exhaustive restoration drawings, JCA had to wait eight years to get the process underway. The building, so long a blot on the landscape of Milford Parish, was at last returned to its former glory, thanks to team work. This was achieved with the faith and co-operation of the local authority officers and members and the team work between architect, developer, builder and Waverley Borough officers. The new use is for luxury apartments, and the land at the rear has been developed with a traditional period style mews of town houses and apartments, totally screened from the road by the main house itself. 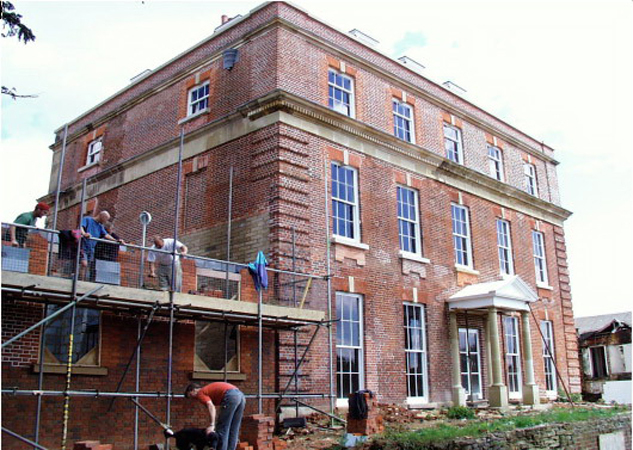 As a footnote, Milford House was featured on an historic buildings TV series which dealt with the saving of historic buildings and artefacts. The programme highlighted the quality and care taken and put Milford House forward as a perfect example of what can be achieved by a team of people committed to their cause and how developers really can work together successfully with a local authority. Waverley had the courage and foresight to keep the faith in the thought that one day Milford would be restored. This faith was proved rightly founded and we are all proud of what was achieved, a view further reinforced by a Borough Historic Building Award . The main contractor on this project was Rushmon Homes Ltd.